Stayed home tonight and watched the football with my housemate whilst doing my nails, my ideal relaxing evening. I spotted a polish I liked in a girl’s collection on reddit, told her, and she posted it to me! How lovely of her! 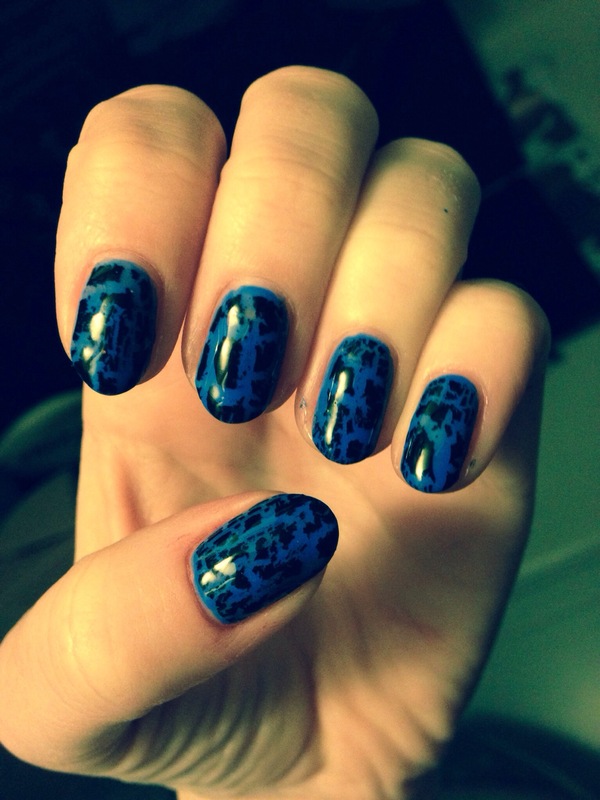 It’s the blue in this manicure, I love it. Happy Steph!